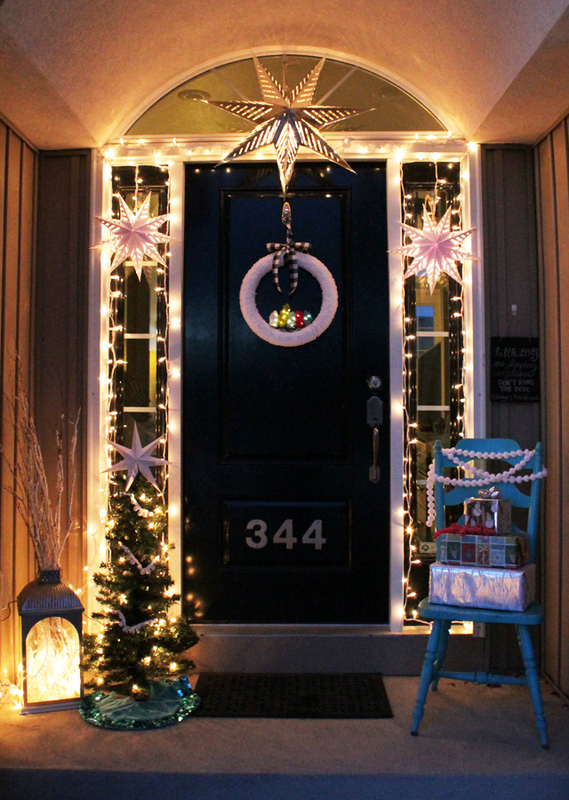 Something you may not know about me is that I tend to go all out on the Christmas decor inside our home, but the outside… well, that’s a different story. We’re kind of the “Scrooge” of the neighborhood when it comes to outdoor Christmas lights, and every year our kids beg us to put lights up. This year, I decided we would start small with a display on our front porch. 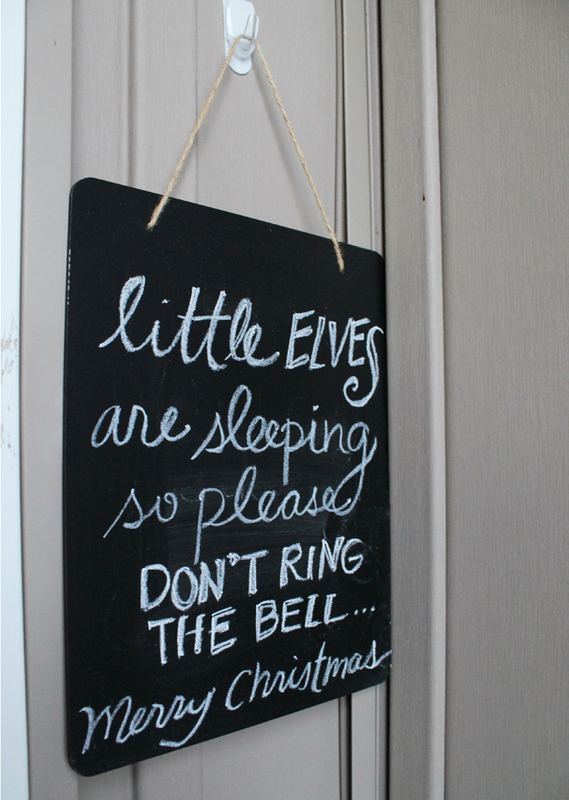 I knew I would have to keep it simple so my hubby wouldn’t have to get out the ladder! 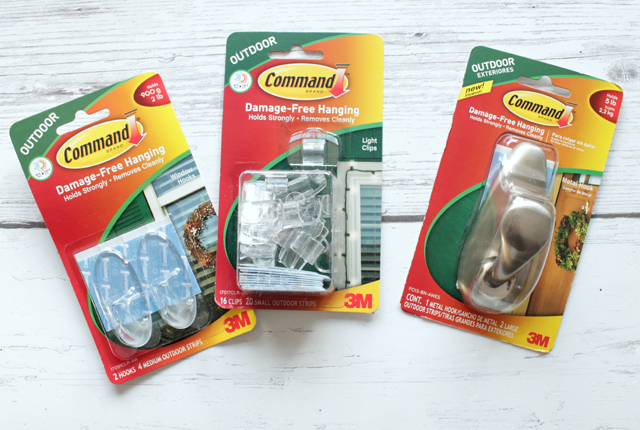 I’m so glad I found these Command Brand Outdoor products to make the process easier. 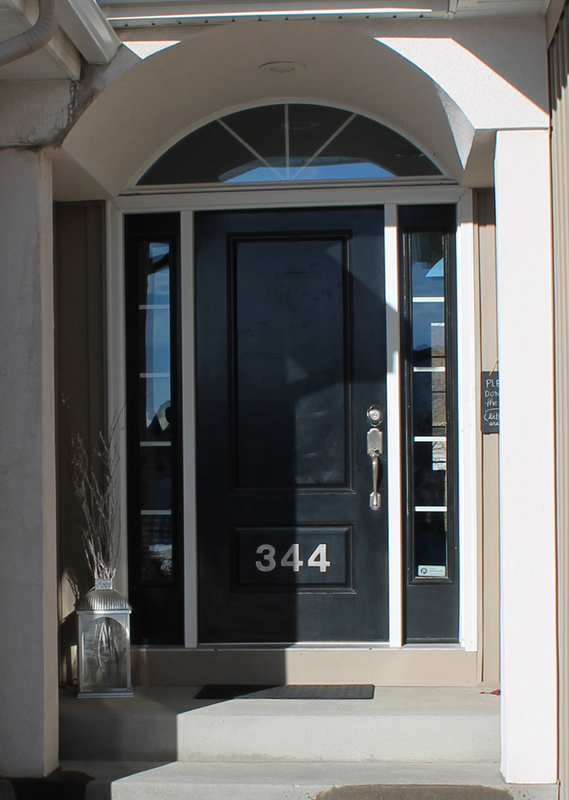 I decided to start my design with the Snowy Yarn Wreath I made a few weeks ago, so I hung it on the front door with the Command Outdoor Large Metal Hook in brushed nickel. 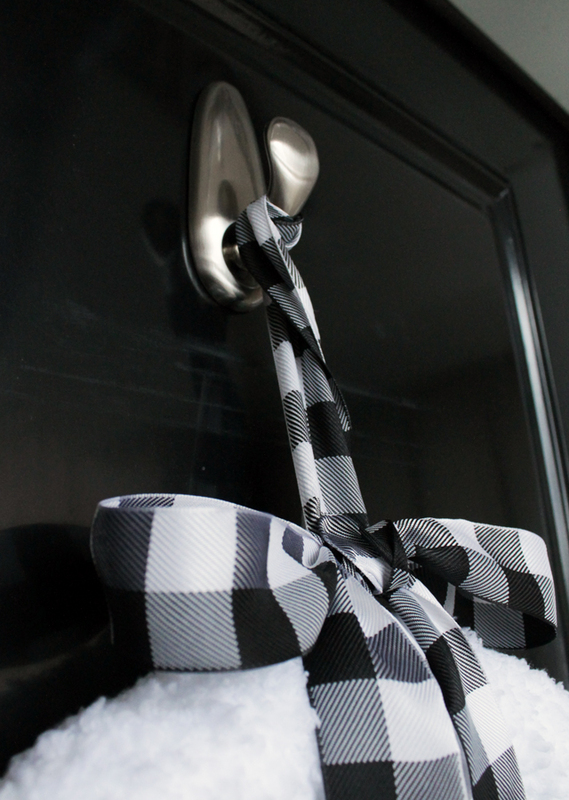 I will be able to use this wreath hanger all year if I want to, and if not, it is super easy to remove without any damage to the door. I added some battery-operated LED lights in the little yarn trees too, aren’t they cute? Then it was time to get the lights up! This is the part I was most nervous about, but the Command Outdoor light clips really made my job easier. 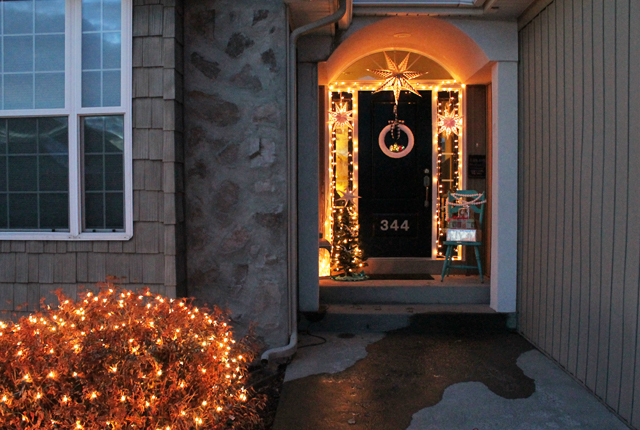 My husband helped me and between the two of us, we had all the white lights around the windows in no time! 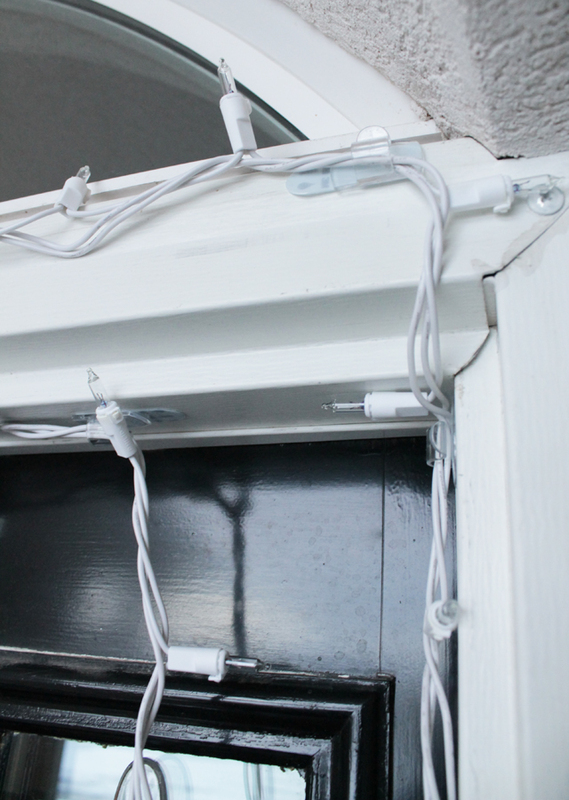 The clips are completely damage-free and can be taken down after the holidays and then used again next year with refill strips. I love that! 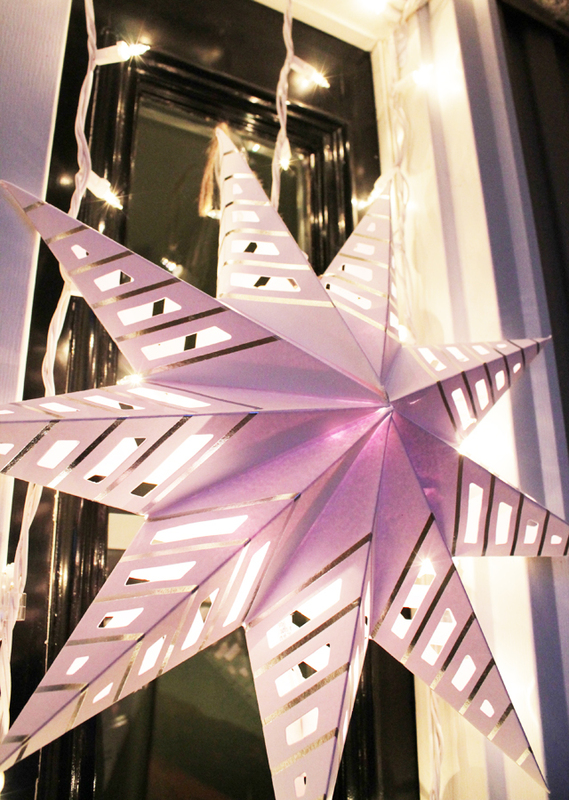 As part of my vision, I really wanted to incorporate these pretty paper stars I purchased at Target. I have a white one up as my tree topper this year and it’s beautiful! 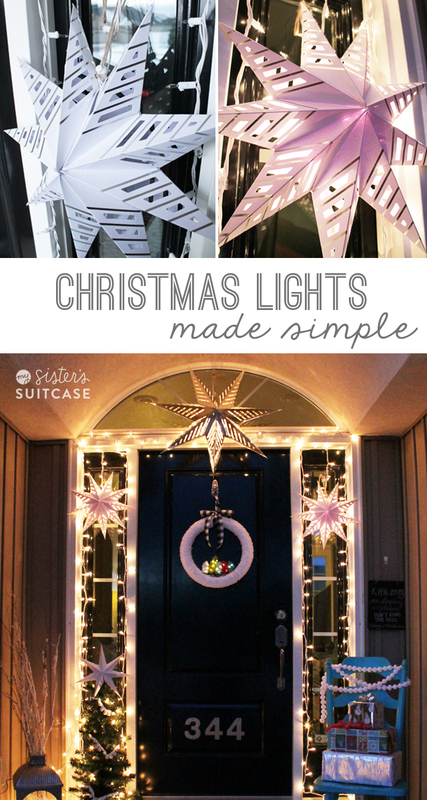 I thought it would be so cool to hang them on the windows by our front door and string some of the lights inside to make them glow. 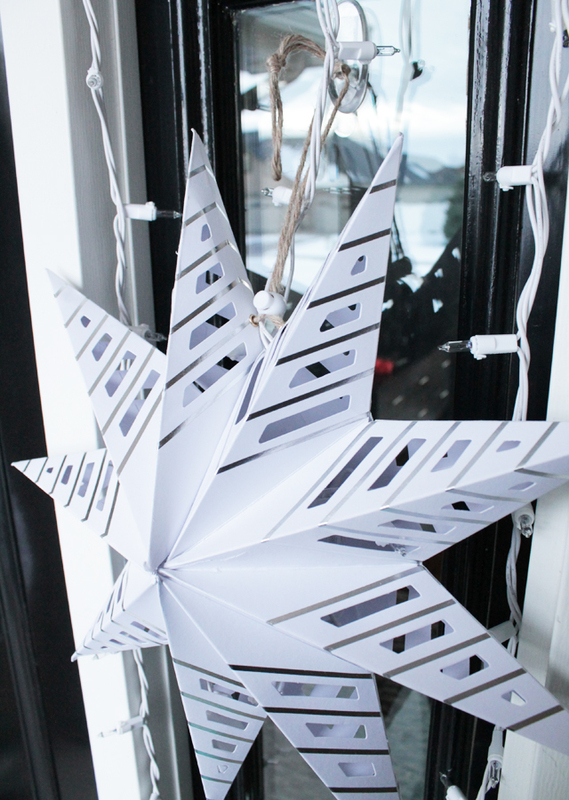 I started by applying the Command Outdoor Window Hooks at the top of the windows, then just hung the paper stars from them. I used two small stars on the sides and one large one in the middle. 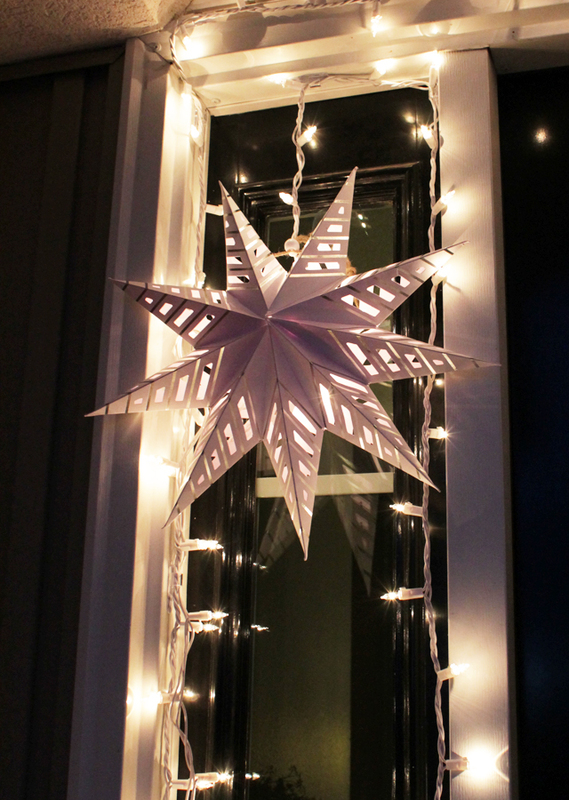 I could have stopped with the lights on the windows and the paper stars, but I couldn’t keep myself from adding more! I set out a chair with brightly-wrapped Christmas gifts and a small tree with a pom pom garland and paper star as a topper. My kids are so excited that we finally have a festive outside! I wish I would have captured some shots of our home a few days earlier when everything was covered in snow… it’s much prettier than the wet sidewalk I have now with all of our snow melting. I’m sure the snow will return soon and I can’t wait! After the lights were done on the porch, we totally branched out and got a few of those light nets for our bushes. Just call us the Grizwold family! 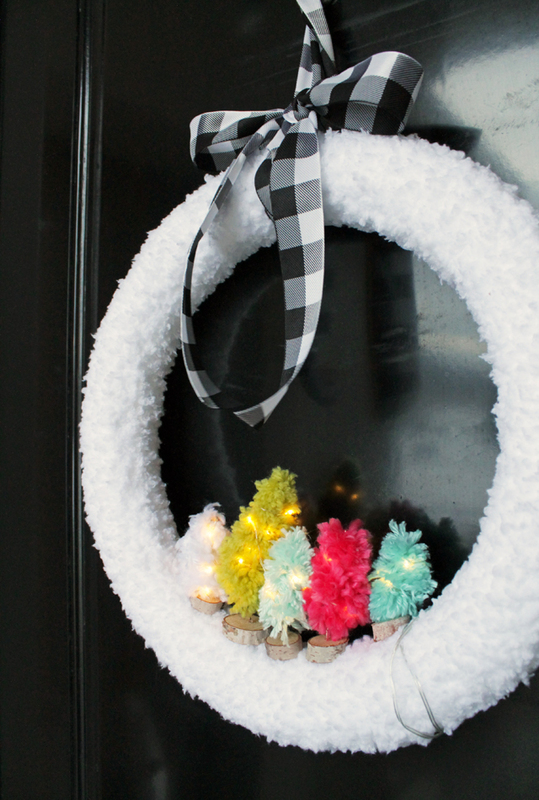 What do you guys do to decorate outdoors for Christmas?